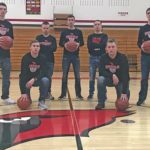 The Brodhead Cardinal basketball seniors were honored Thursday night prior to the boys basketball game vs. East Troy. 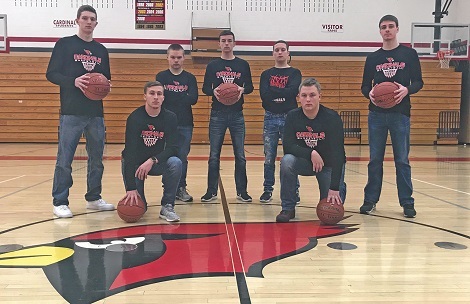 Representing the class of 2018 are (Front row, left to right) Parker Johnson and Dane Lewis; (back row, left to right) Justice Tway, Ashton Thompson, Alex Riemer, Lucas Reed and Brekan Day. Pick up this week’s print edition for more basketball photos by Becky Malkow…..